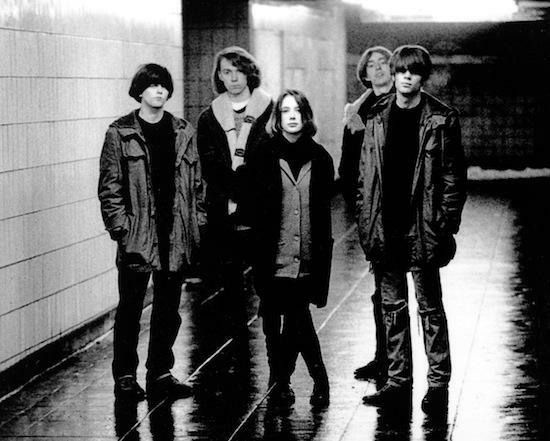 Following last week's spark-up of speculation, seminal shoegaze outfit Slowdive have announced that they are reuniting to play this year's Primavera Sound festival. The group, which will comprise the line-up of Neil Halstead, Rachel Goswell, Christian Savill, Simon Scott and Nick Chaplin, are set to join Pixies, Neutral Milk Hotel, Arcade Fire and more at the Barcelona festival, taking place from May 29-31. The announcement was made in a short film screening online - have a watch here, and has been followed by a tweet linking to the band's new website from their official Twitter account: "Slowdive are back." Speaking to the Quietus in an exclusive interview published tomorrow, Halstead and Goswell also hinted at the possibility of following this up with new material. "I'm super excited. We had our first rehearsal last week, which was fun. We were surprisingly good. Quite a few of the songs came back quickly," says Halstead: "The initial impetus was the idea of doing some new music. It seemed easier to do that because it’s not so public. But then we thought it would be good if we could raise a bit of money to make the record, and doing a couple of gigs would enable us to do that. And that’s the way it shaped up – while we’re rehearsing we can see if we’ve got another record in us." The band released their debut album, Just For A Day in 1991, followed by Souvlaki two years later. After the release of their third album, Pygmalion, in 1995, the band were dropped by their label Creation, with Halstead, Goswell and drummer Ian McCutcheon going on to form Mojave 3. “I’m not interested in any critical reappraisal. It’s more about the people who are into it and like the records rather than proving anything to anyone. We’re not getting paid enough for there to be any real financial incentive for doing it. But there are loads of artistic reasons, especially if we can get a new record together,” says Halstead. Talking about the influence of the band and the shoegaze resurgence in recent years, Goswell says: "The fact that the music we made still stands up today and is influencing new bands says a lot and that makes me feel very proud of what we did. There seems to be a lot of love out there for Slowdive, which is nice." In terms of the set list, expect "a pretty fair reflection of our career and our hits – or not hits as they were", in Halstead's words, with Goswell adding: "We've discussed what songs we're going to play - all the old favourites and a couple of different ones. We're going for the epic."